Indonesia tops many “fastest-growing” lists, but is it ready to compete with the world’s leading emerging markets? U.S. furniture maker Marie Albert thinks so. 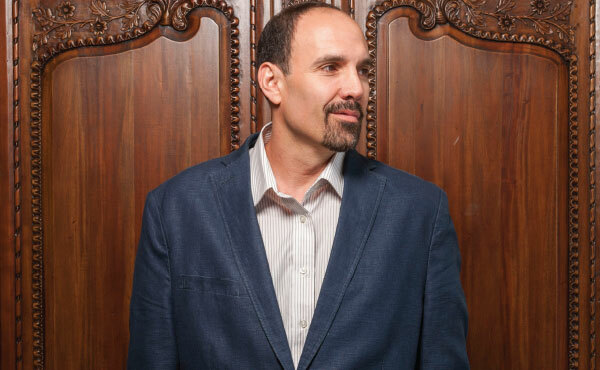 Nearly a quarter century ago, Long Island businessman Tom Romano flew to Indonesia to acquire a factory in Semarang. The plant, in the middle of one of the world’s great timber expanses, would supply his Marie Albert furniture company with a low-cost workforce and easy access to mahogany, oak, pine and teak for its signature line of French country antique reproductions. In the years since, Romano has shipped tons of American furniture—made by Indonesians in Indonesia—back to the U.S. Two years ago, lured by the booming Indonesian consumer market, Romano visited Jakarta for an international furniture show. Despite spending upwards of half of every year in Indonesia, Romano had never attended the expo. American companies, many of them fleeing rising Chinese labor costs on one hand and courting booming Asian consumer markets on the other, are following suit. Last fall, Furniture Brands International opened a case-goods plant in Tambak Aji, several miles from Romano. 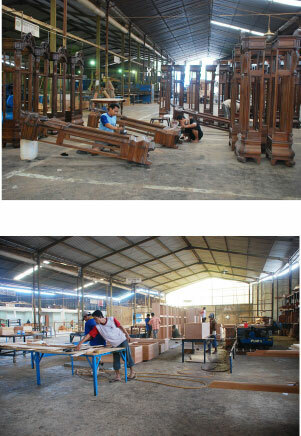 The factory, the furniture giant’s second operation in Indonesia, now manufactures and ships major volumes of Thomasville, Drexel, Maitland-Smith and La Barge around the world. Yes it is. Ranked fifth on the Global Intelligence Alliance list of Top 30 Emerging Markets for 2012-2017—behind Brazil, Russia, China and India—Indonesia tops many fast-growth lists. With a population over 251 million, it is the world’s fourth-largest country. Even before the 2008 death of longtime strongman President Suharto, Indonesia was shedding its protectionist shell. In recent years it has joined the World Trade Organization, entered regional alliances like the Association of Southeast Asian Nations (ASEAN) pact, and inked free trade agreements with the U.S. and other states. Indonesia has become a key U.S. trade partner, supply-chain ally and portal into Asia. Fanned by growing consumer demand, surging industrial purchasing and expanding government infrastructure spending, Indonesia last year absorbed over $10 billion in goods and services from the U.S., up more than 40 percent over the past five years. Oil and gas shipments pace the rise; agriculture and livestock, apparel, second-hand merchandise and specialized manufacturers are also surging. As for furniture, sales of U.S. brands are up 75 percent since 2008. Romano has plenty of company. Globally, Indonesia is increasingly making its presence felt. Jakarta officials and their surrogates dominate the Asia-Pacific Economic Cooperation (APEC) forum as well as ASEAN. This spring, Indonesia spurred the formation of the ASEAN Regional Comprehensive Economic Partnership (ARCEP). The world’s newest trade bloc embraces all 10 member states along with key trading partners South Korea, Australia, China, Japan, India and New Zealand. Before an international press corps this spring, Indonesian trade minister Gita Wirjawan taunted the West with a telling comparison: ARCEP with its three billion-plus consumers and a GDP of $15 trillion, versus the European Union’s 390 million population and $13 trillion economy. Indonesia’s true economic impact, however, may lie with the CIVETS. This loose affiliation comprises Colombia, Indonesia, Vietnam, Egypt, Turkey and South Africa, states whose growth dynamic by most measurements outpaces all other markets save Brazil, Russia, India or China. In the future, “Markets will be defined not by geographic boundaries but by mega-corridors and mega-regions,” declares Aroop Zutshi, global president of Frost & Sullivan and the consulting firm’s managing partner. Zutshi and other analysts visualize commerce networks stretching across continents and spanning oceans. Markets historically defined by trade barriers, language and local taste preferences are being transformed by supply-chain opportunities, logistics-driven deals and a surging, acquisitive, brand-crazy, shopping-bag-toting middle class. Taking its name from the small wild feline whose dietary and digestive habits help generate a certain high-priced gourmet coffee bean, CIVETS countries grow on average nearly 5 percent per year, a rate twice to three times as fast as developed countries. These cats attract big foreign direct investment dollars, import at accelerating rates, and invest increasingly in their own infrastructures. With an average age of 27, their populations attract companies looking to hire, to move into new growth markets—or both. It’s not all Indonesia. Colombia—closer to the U.S. geographically and more familiar culturally—plays a vital role in hemispheric trade routes. The Colombia-U.S. Free Trade Agreement, signed in 2006, made more than 80 percent of U.S. exports duty free; most of what remained has since been phased out. According to the U.S. International Trade Commission, passage of the agreement has spurred bilateral trade by nearly $1.6 billion per year, most of it north-south. U.S. brands like Nautica and Northface have expanded; Perry Ellis came back post-treaty after effectively pulling out. Vietnam may well be the fastest-growing feline; annual growth approaches 10 percent. By 2050, Vietnam’s economy should equal 70 percent of the United Kingdom’s. Vietnam, Egypt, Turkey and Indonesia are among the 19 emerging-market nations cited by Prabhat Vira, regional head of trade and finance receivables for HSBC, as ranking among the world’s Top 30 markets. In a report released earlier this year, HSBC forecast that these nations would experience a middle-class boom reaching three billion consumers by 2050. Vira estimated that today’s emerging markets will drive up to two-thirds of world consumption by this century’s midpoint. Through 2020, Egypt, Turkey and fellow CIVETS Vietnam and Indonesia will dominate emerging-market growth, along with China, India and Malaysia. Surging populations in all six markets are a defining factor of these emerging markets, Vira observes. “Population growth reflects longer life expectancies (coupled with) increasing consumerism,” he notes. “That in turn fuels growth in infrastructure and is linked to changes in spending habits.” The HSBC report anticipates rising consumer expenditures in financial services, health care, housing and household appliances as the next wave of middle-class nouveaux behaves pretty much as their parents’ generation did in Brazil, Russia, India and China. Industrially, HSBC economists foresee continuing rises in imports of machinery, transportation equipment, scientific apparatus, chemicals and plastics through mid-century at least. Anticipating a gold rush, companies are swooping into unfamiliar markets with Western products, services and processes, often with scant market knowledge or cultural savvy. Market entry strategies run the gamut from savvy to clueless. TAMING CIVETS The CIVETS affiliation—Colombia, Indonesia, Vietnam, Egypt, Turkey, South America—shares a name with a tropical forest-dwelling mammal that encompasses more than a dozen species. “CIVETS are no different than the BRIC countries in that you need a very specific strategy for each one,” says Babak Hafezi, chief of Hafezi Capital, a Beltway consulting firm. Surface similarities between markets are misleading, he says. While Indonesia, Egypt and Turkey share Islamic faith, their experiences in statehood, economics, trade and clerical influence on government are vastly different. Indonesia is characterized by vast size and Asian alliances; Egypt lists toward theocratic extremism; and Turkey thrives in part by reconciling modernization with Islamic values. Sullivan & Frost’s Zutshi cites the example of a medical-device manufacturer that sought his firm’s advice after getting bogged down in Indonesian real estate. After opening a series of walk-in clinics scattered around the country, the company discovered—painfully—that geography and travel costs deterred potential customers. Zutshi’s team drew up a new plan, replacing brick and mortar clinics with a mobile staff and battery-powered devices. Employees fanned out across the country’s 17,000-plus islands, spanning 3,200 miles to see the customers who could not visit them. The new approach is working, asserts Zutshi, who declined to name the manufacturer. 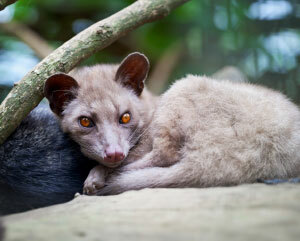 Put another way: Taming CIVETS can be like herding cats. But given the size of payback, rest assured many will try. 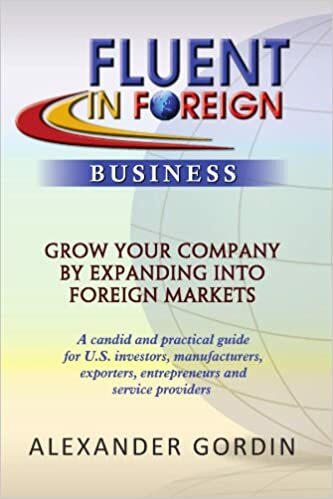 Over the last year, we at Fluent In Foreign Business called for investors, exporters and franchisors to look Beyond The BRICS when considering foreign expansion into emerging markets. 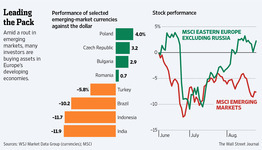 Now, it seems the financial markets more than validated our hypothesis and the recent melt down of the BRICS and Turkish stocks and currencies in the face of the slowed growth and looming Syrian conflict, cast a dark shadow on the entire emerging markets sector. 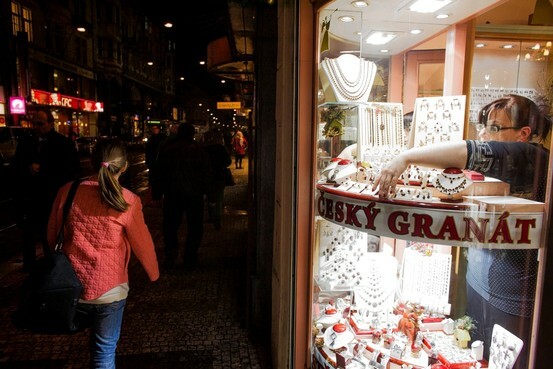 Bloomberg News The Czech economy pulled out of an 18-month recession in the second quarter. Here, a jewelry store in Prague this past January. What can western entrepreneurs learn from East African startups? From local-sourcing and utility models to investing in growth,Quinton Wall reflects on a trip to East Africa’s startup scene. Earlier this year I was fortunate enough to visit East Africa, specifically Kenya and Uganda, to meet with local entrepreneurs in the region. My job in San Francisco means that I often visit many of the major tech hubs around the world, but still, I was not prepared for the amount of inspiration I got from my trip to Africa. To put it mildly, the entrepreneurial flair in the region is electric. Opportunity is as fertile as the red soil of the land underfoot, waiting to be harvested. So what can western entrepreneurs learn from this rapidly emerging region? It is clear that mobile is leading the way across Africa, and like many emerging countries, they skipped right past the cable infrastructure that tethers much of western country communication to expensive and aging technology. One technology hub I visited, the m:lab, was full of state-of-the-art mobile devices and teeming with eager mobile app developers. However, these entrepreneurs weren’t just being taught how to build more apps, they were being taught how to build growth businesses. Before you can graduate from the m:lab, students must register a business, bring their product to market and show at least six months of growth. This focus on rapid growth was inspiring. Investors are harder to come by in this region, so entrepreneurs are forced to look at how every decision, whether it is product or personnel-related, affects the business in its earliest stages. Nairobi benefits the most from western investment. It is truly a city on the verge of greatness, but this attention from foreign companies comes at a price. Many of the entrepreneurs I met in Nairobi were westerners who saw an opportunity and quickly set up shop. As these companies grew, they hired local staff, which is fantastic for the local economy, but I couldn’t help but feel that this emphasis on west-sourcing is only good in the short term. For a region heavily influenced by colonial rule, independence and national identity are powerful motivators. Kampala, the capital of Uganda, is a great example of where I believe local-sourcing will serve the country and economy well in the long term. Kampala often misses out on foreign investment to Nairobi. The result is a heavy investment in local skills training and a very tight entrepreneur community, where everyone knows everyone and is willing to help out. They are the underdogs. They have everything to lose. The importance of local-sourcing anywhere in the world cannot be underestimated. There will always be magnets of tech investment that draw foreign attention, but every one of these tech hubs started with friends helping friends, and locals helping locals – just look at the lineage of almost every software or hardware company in Silicon Valley. Entrepreneurs that I met with during my time in East Africa were heavily focused on building basic utility services: communication, money transfer, social good projects and healthcare, for example. By developing utility services, even the most remote communities benefit from the influx of technology and investment – foreign or local. 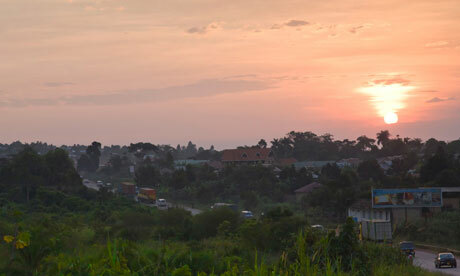 With such a large rural population in East Africa, these utility services can quickly become the new normal. m-Pesa is probably the most notable example. The microfinance platform now manages the transfer of roughly 31% of the Kenyan GDP through mobile phones – never touching a bank! Western entrepreneurs can learn a lot from the East African utility model. Studying the economy of a desired market is a sensible approach, deciding whether basic services are required first, or if the community is ready for convenience services such as social networking, lifestyle (news, travel, music, shopping) or business apps (track a package, check invoices etc). Of course, even within established countries, disruptive ideas that reimagine basic services can be the next killer technology – just ask Square or Twitter. If my time in East Africa taught me anything, it is the realisation that wherever there is opportunity, there are creative individuals we collectively refer to as entrepreneurs who thrive on building something out of nothing. Whether growing a hot startup in downtown San Francisco, studying computer science in Hyderabad, or selling fresh produce at a local farmer’s market, the learnings from my time in East Africa always apply: focus on a business model designed for growth, invest locally, and if utility services either don’t exist or are ready for disruption, (re)invent them. There’s a prevalent myth that I’ve encountered repeatedly in my years advising companies with intentions of going global — that it’s a massive project, one that takes extensive advance planning, and one that only the largest companies can pull off successfully. This conclusion is understandable. After all, it’s hard enough to build a business within one’s home market. 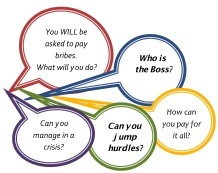 This process plays out repeatedly, even among some of the world’s largest brands. Take Apple as a prime example. After opening up retail locations throughout the United States, the American stores were flooded by foreign buyers purchasing iPhones in bulk in order to take them back and sell them to the scores of people yearning for these products overseas. At first, Apple didn’t target these international customers in a strategic way, which would have been making their products easily available in those countries from the start. Instead, they noted the demand and, little by little, gradually expanded their global footprint; to the point where today, a great deal of their growth strategy is focused on other countries. At the end of their 2012 fiscal year, 83% of new Apple Stores were found in international locations. While it’s true that many companies make a concerted decision to enter a given market, it’s actually more common to see the reverse scenario take place — their customers make the decision for them, or at the very least, these customers play a significant role in steering the company toward those decisions. 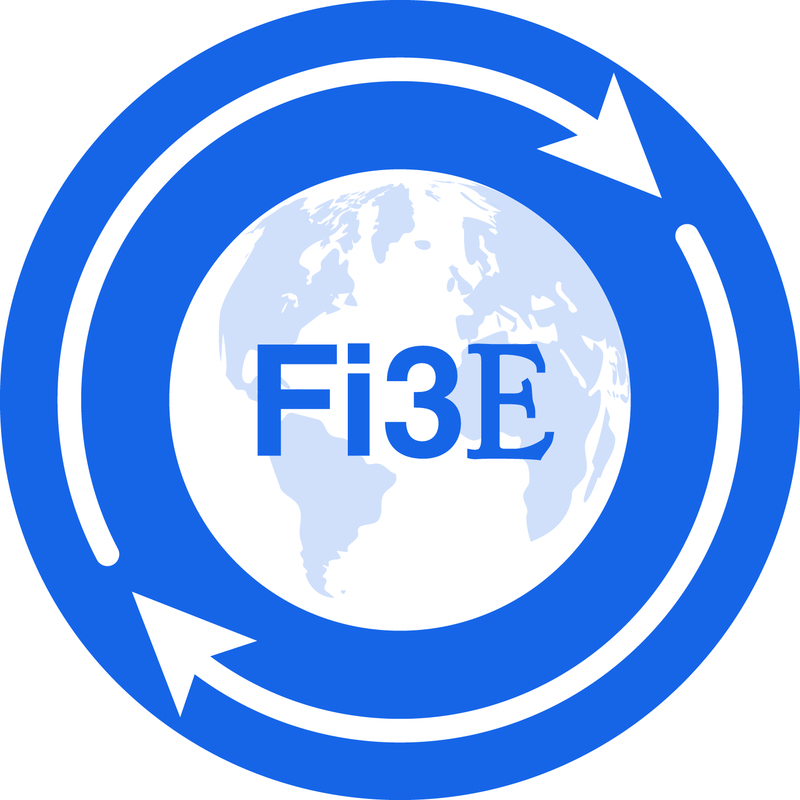 As a result, more and more companies are going global without any sort of grand master plan. Instead, they are easing into an international presence one small step at a time, often learning as they go, creating plans in response to what they learn, and experimenting along the way. In the past, launching a presence in a new country required an office in that location, several trips to scout out office space, and a significant commitment of both time and money. But in today’s digital age, people in faraway places can find your website, learn about your company, and have an experience with your brand. Marketers and brand managers today cannot always control the traffic streams — and their sources — that arrive at their website. Customers are more empowered than they used to be. Marketers are empowered by this new world order too, but in a different way — through analytics. While they may not be able to strictly control who is visiting their website and where these visitors are coming from, they can use demographic and behavioral data in order to determine the next best steps the company should take. If they see significant traffic from a given country or in a given language, this data can help inform the decision to launch a website for a specific locale. Yet, sometimes, even when all of the signs are clear that demand exists outside of a company’s home market, many companies ignore the data — and therefore, the market opportunity — due to a fear of how hard it will be to expand across international borders. They envision massive up-front costs with unclear return on investment. The word “international” seems far bigger and scarier than it really is. The problem for many of these companies is figuring out what to do next. How do you capitalize on these signs of potential global momentum? Add a little fuel to the fire with translation. If you’re already seeing international interest among your customer base, consider translating some of your online marketing content in order to make your products and services that much more accessible — and desirable. Don’t make the expensive mistake of translating everything at once. Instead, try a “test launch” or a pilot in a given country. Support your customers without going overboard. Many companies believe that they have to provide full-fledged customer service and support to customers in every language and country into which they expand. The reality is that if you’re already seeing interest from your customer base without any support at all, even providing minimal support (online help, for example) will often be a step in the right direction — at least until you have more customers, and therefore more revenue, to fund greater levels of client service. Increase your sales and marketing presence. As you begin to see more traction from your small-scale efforts, consider amping up your sales and marketing presence for the international locations that seem most promising, using research and your own analytics to inform your decisions. As you see return on investment, you can provide more in-language content and spend more on local campaigns. You might even want to hire salespeople who speak the language of your newfound customers — but they don’t necessarily need to live there. You can recruit expats who live in your country but would love to travel back home frequently until you’re confident of the need to hire locally. Decide whether you need a physical presence. You might never actually need a physical office location in the country where your customers are located. Granted, this decision is made easier for dot coms, digital media companies, SaaS developers, and others who primarily sell on the web. However, even if you are selling physical goods, a wiser strategy may be to take advantage of distributors and resellers in order to obtain the same benefits without investing in actually setting up camp in another geography. Don’t panic when you spot global demand for your products and services. Instead, start making small, incremental investments in expanding your global presence. Before long, you’ll see that going global is simply a path — not an obstacle course. WASHINGTON — After decades of hollowing out, U.S. manufacturing is overtaking competitors and stands to grab up to $115 billion more in export business from rivals by 2020, a new report said Tuesday. The Boston Consulting Group study said a more productive U.S. factory sector, enjoying cheaper energy and relatively lower wages, will pull production from leading European countries, Japan and China. Within six years that production will capture $70 billion to $115 billion in annual exports that would have come from the countries. And together with “reshored” manufacturing from China, where rising wages are undermining its competitiveness, the shift could add from 2.5 million to 5 million jobs in the country, the study said. “The U.S. is steadily becoming one of the lowest-cost countries for manufacturing in the developed world,” BCG said. It said that by 2015, average manufacturing costs in the five major advanced export economies — Germany, Japan, France, Italy and Britain — will be 8%-18% higher than those in the United States. By that time US labor costs will be 16% lower than in Britain, 18% below Japan’s, 34% below Germany’s and 35% below labor costs in France and Italy.Moreover, the report underlined, the U.S. workforce has much greater flexibility than its industrial rivals. The study pointed to signs that the shift is already happening: Toyota exporting U.S.-assembled cars to South Korea and Honda boosting its U.S. export-directed production; Siemens building gas turbines in the United States to sell to Saudi Arabia; and France’s Michelin making large earthmover tires for export in the United States. About two-thirds of small businesses that don’t export goods or services would like to start selling overseas, according to a June study (PDF) from the National Small Business Association (NSBA). Almost half of thosebusinesses said a main barrier is that they’re “not sure where to start.” Given President Barack Obama’s promise in 2010 to double exports by 2015, helping would-be exporters navigate the many federal agencies that offer resources to promote foreign trade seems like a good idea. That makes it hard for the government to determine whether the billions it spends to promote trade are being spent efficiently. The TPCC responded in a letter to the GAO that it has “limited authority” over the information that agencies report. The GAO undertook the study at the request of Representative Sam Graves (R-Mo. ), chairman of the House Small Business Committee, who has advocated for streamlining export programs. In May, Gravesintroduced legislation intended to improve coordination between agencies that promote foreign trade. The idea: Cut back resources devoted to helping small businesses export and boost foreign sales as a result. In June, Graves championed free-trade agreements as a means of improving small businesses’ access to foreign markets. U.S. exports reached a record $191 billion in June, according to the Department of Commerce. 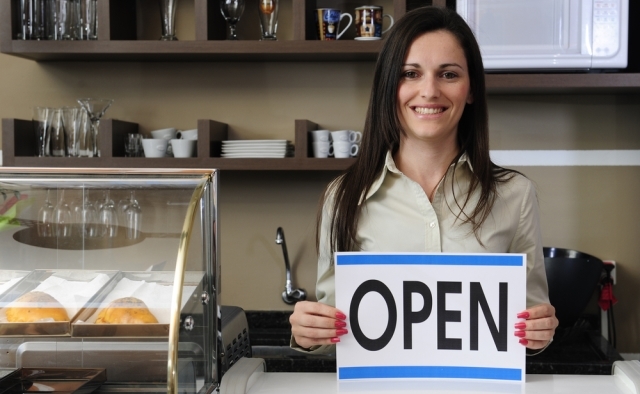 The U.S. Census Bureau says small businesses account for a thirdof foreign sales. Navigating the maze of government resources isn’t the only challenge for small business owners hoping to begin exporting. 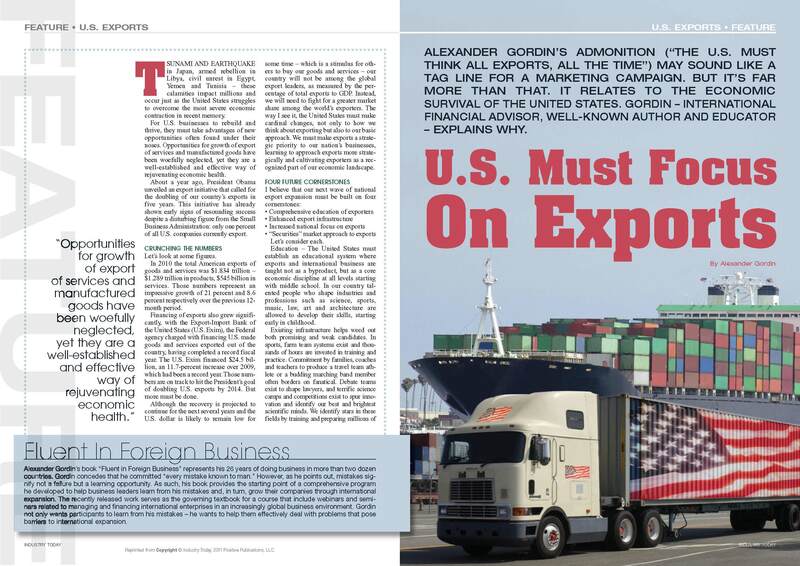 Twenty-six percent of respondents in the NSBA survey said they don’t export because they worry about getting paid by overseas customers, and another 14 percent cited the problem of getting financing for foreign customers. A paper (PDF) from the Small Business Administration Office of Advocacy earlier this year suggested that making working capital loans more obtainable for small businesses could also boost exports. 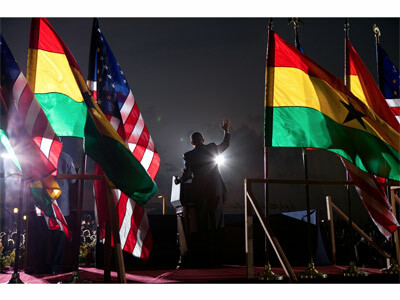 It would be easy to describe President Obama’s trip to Africa earlier this summer as a triumph of symbolism over substance. Much of the news reporting supported this impression, focusing on stage-managed photo ops—in Nelson Mandela’s former prison cell, for example—rather than the big picture. Beyond the cameras’ view, however, a very important story has been unfolding in the world’s second most-populous continent: that of sweeping economic change and the opportunities these changes have created for American businesses and the U.S. economy.